This co-authored monograph critically examines the current debate on ‘new’ or ‘digital’ media. It makes a case for a significant shift in the way new media is perceived and understood: from thinking about ‘new media’ as a set of discrete objects (the computer, the mobile phone, the iPod, the e-book reader) to understanding media predominantly in terms of processes of mediation. (1) In an era when being on Facebook or Twitter, having a smart phone or a digicam, and obtaining one’s genetic profile on a CD after being tested for a variety of genetic diseases has become part of many people’s everyday lives, we maintain that there is a need to move beyond the initial fascination with, and fear of, ‘new’ media; and beyond the belief in their alleged ‘newness’, too. (2) There is also a need to look at the interlocking of technical and biological processes of mediation. Doing so quickly reveals that life itself has become a transient medium, which is subject to the same mechanisms of reproduction, transformation, flattening and patenting that other media forms (CDs, video cassettes, chemically printed photographs, and so on) underwent previously. (3) If life itself is to be understood as a medium, we need to critically examine the complex and dynamic processes of mediation that are in operation at the biological, social and political levels in the world, while also remaining aware of the limitations of the stand-alone human ‘we’ that can provide such a rational critique. The aim in Life after New Media is to achieve something other than merely providing an extension or corrective to the current field of ‘new media studies’. Instead of developing an alternative definition or understanding of new media, the authors refocus the new media debate on a set of processes that have so far escaped close analysis by media studies scholars. 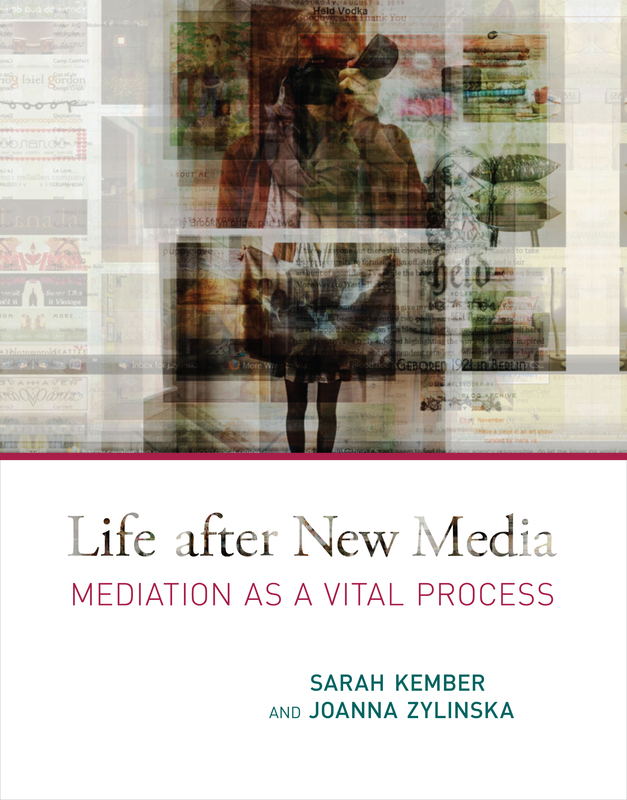 In other words, with this book we are not so much interested in moving the debate on new media on, but rather in moving on from the debate on new media; and, in doing so, focusing on the concept of mediation. The distinction is of course primarily heuristic, i.e. provisional and tentative, and the purpose of separating mediation from media is to clarify the relation between them. Mediation does not serve as a translational or transparent layer or intermediary between independently existing entities (say, between the producer and consumer of a film or TV programme). It is a complex and hybrid process, which is simultaneously economic, social, cultural, psychological and technical. This is an open access electronic book and part of a series entitled ‘Living Books about Life’. 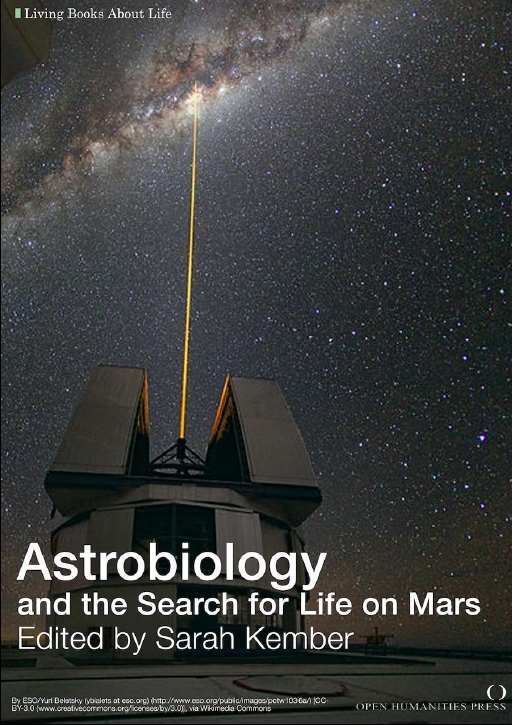 The aim of the series is to engage with the cultural aspects of new developments in science and technology and this volume explores the field of Astrobiology from a critical theoretical and fictional perspective, linking it to the historical and contemporary aspects of the search for life on Mars. The key features of the book are that it includes all of Percival Lowell’s writing on Mars in addition to the full text of H.G. Well’s The War of the Worlds. It reviews the Viking experiments of the 1970s and includes an article written exclusively for this volume by one of the experimenters, Gilbert Levin who reviews and updates the findings of the labeled release experiment, claiming that he did discover life on Mars 40 years ago. The introduction connects Lowell’s claim that intelligent Martian life must be responsible for the presence of canals on Mars with Levin’s claim to have discovered microbial life on Mars with another more recent claim by a character named Lou. Lou’s more recent experiment, subsequent to the discovery of liquid water, is that Mars is host to an organism resembling green sulphur bacteria. Cyberfeminism and Artifical Life examines the construction, manipulation, and re-definition of life in contemporary technoscientific culture. The book takes a critical political view of the concept of life as information and traces it through the new biology and the discourse of genomics, as well as through the changing discipline of Artificial Life, and its manifestation in art, language, literature, commerce and entertainment. From cloning to computer games, and incorporating an analysis of hardware, software and ‘wetware’, Sarah Kember extends current understanding by demonstrating the ways in which this relatively marginal field connects with, and connects up global networks of information and communication systems. Inventive Life. Towards the New Vitalism (with Mariam Fraser and Celia Lury) (Sage, 2006) demonstrates how and why vitalism – the idea that life cannot be explained by the principles of mechanism – matters now. Vitalism resists closure and reductionism in the life sciences, whilst simultaneously addressing the object of life itself. The aim of this collection is to consider the questions that vitalism makes it possible to ask: questions about the role and status of life across the sciences, social sciences and humanities and questions about contingency, indeterminacy, relationality and change. All of these questions have special importance now, as the concepts of complexity, artificial life and artificial intelligence, information theory and cybernetics become increasingly significant in more and more fields of activity. photographies a new journal edited with David Bate, Martin Lister and Liz Wells. Photographies seeks to construct a new agenda for theorising photography as a heterogeneous medium that is changing in an ever more dynamic relation to all aspects of contemporary culture. The journal aims to further develop the history and theory of photography, considering new frameworks for thinking and addressing questions arising from the present context of technological, economic, political and cultural change. We investigate the contemporary condition and currency of the photographic within local and global contexts. The editors seek research papers and innovative visual essays, shorter papers engaging new debates, review essays, cultural events, key developments, exhibitions and conferences. Virtual Anxiety: Photography, New Technologies and Subjectivity, Manchester University Press, 1998.